This post will teach you how to lock and unlock apps on your infinix android phone using Fingerprint security. Infinix Mobile has redefined its approach to manufacturing phones. They’ve gone the metal design route and more interestingly, fingerprint scanner is now on board. The infinix Hot S, Hot 4 and Note 3 are the brand’s latest smartphones and they all have fingerprint scanner on board. Update: After the Note 3, the brand has launched a couple more smartphones. There’s the HOT S2, HOT S3, HOT 5, Note 4 and Zero 5. You can get the full list here. All these smartphones should be able to perform the same function of being able to lock and unlock apps using the fingerprint ID. 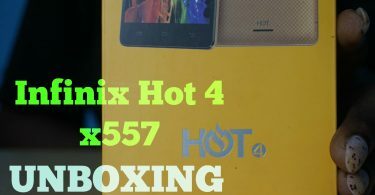 I am currently still testing the infinix Hot 4 and so far, the experience have been pretty good. What catches my fantasy most in the device, would be the fingerprint scanner and the speed at which, it unlocks the phone. With the newly launched infinix smartphones running XOS based on Android Marshmallow out of the box, you can lock and unlock apps using your fingerprint ID without the need for a third-party app. Below is a video which shows a step-by-step guide on how to get the whole process done. It’s detailed and should get you done in no time. First, you should have your fingerprint programmed on the phone. If you haven’t, you should do so before moving on with other steps. Tap on fingerprint management and type in your PIN. Same pin you used when registering your fingerprint ID. Next, toggle the Access App Lock ON, which should thereafter, show a green button as against gray. When done with that, go back to the main menu. Next, tap on the app drawer, scroll down to XManager and tap on it. Tap on App Lock and you can use your fingerprint in passing the verification process. Tap on ‘Change the scope of privacy‘ and on that window, you can set which apps you want to lock. Tapping the app again simply unlocks it. So, that’s how to basically lock and unlock apps using your fingerprint ID on the newly launched infinix smartphones. But, is that all? Well, you can change how the lock priority works. By this, I mean, you can set the apps to automatically lock each time you exit the app, each time the screen goes off or sometime after the screen must have turned off. To set or change this, simply go back to the XManager > App lock > Change app lock policy. So, there you have it guys. More useful tutorials will be coming soon regarding these infinix devices. Got any question(s), please use the comment form. I chosen that app gets locked when phone lock immediately and its still dont lock !? I couldn’t find app lock option in my infinix note 3 pro in x.manager after receiving new System update. How could I get over this problem?! My finger scanner suddenly stopped recognizing when I try to unlock my phone. I have deleted and re-added new prints yet it doesn’t recognize it when I try to unlock my phone. What could be the cause? my sister mistakenly locked my infinix xos chameleon by fingerprint and now I cannot access my phone. what should I do? Since the phone was locked using a fingerprint, same fingerprint can be used in unlocking the device. Alternatively, you can ask her for the pin she configured before registering the fingerprint(s). How do I unlock my infinix note 3 x601 after exchanging my sim card and it asked for privacy protection password but I really don’t know of any . Yes Akp. As long as your fingerprint is the only fingerprint registered. plz I need help my new mobile phone (infinix hot 4finger print) I bought on 4-1-2017 is misbehaving. each time I dial no the screen use 2trip off(blank) such dat after the call’s 2end call’s become a problem, I ve try settings of no avail. am just crazy about it plz what can be done. Plz I heard about fingerprint on Infinix hot 4, and I bought d phone new how will i do plz help me out. hi.. how do i switch to another active app? im using infinix note 3 pro. thank you. Hi Augzxxx, look at those menu buttons on your phone. You’d find the home, back and recent apps buttons. Tap on the recent apps button and tap on any of the active apps there. Hope this helps? please how can I change from my wife’s fingerprints on my infinix note 3 to my own fingerprint. That is changing one’s fingerprint to another person’s fingerprint. Hello Divine, go to settings > Security > Fingerprint > Fingerprint Management > Enter the Phone’s password > Under fingerprint list, tap on the already set fingerprint(s) and either choose to delete or rename. 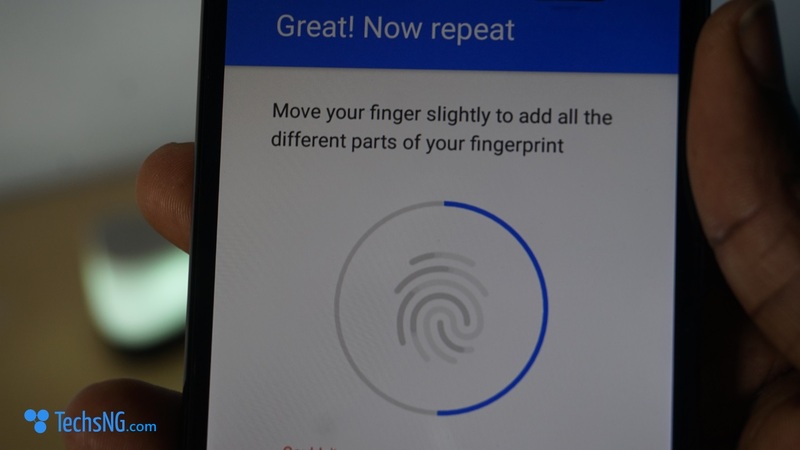 When done, tap on Create fingerprint and follow the onscreen instructions. Good luck! Facing the same problem. Help, anyone? My infinix note 2lte was stolen. The culprit logged out of my gmail so android device manager couldn’t track it latest location. Pls, how can i track the phone using it IMEI? Hello Dave, sorry about your ordeal. Unfortunately, i am not sure you can track a stolen phone via it’s IMEI number.